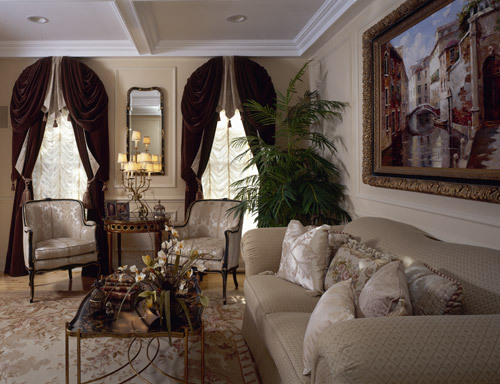 Architectural moldings and a coffered ceiling emphasize the charm of this living/music room. Elegance is brought into the interior with window treatments fabricated in lightweight velvet enhancing the sheer under-treatment. The overall sense of a formal but relaxing room enables our client to entertain family and friends.